Instagram has today taken measures to further secure its billion user-strong platforms, where it has finally decided to give you the opportunity to earn the iconic blue tick and get your profile verified. Yes, you heard that right. The blue checkmark that had previously been super limited to public figures, brands and other major profiles is now being opened to the masses. This means you’d no longer have to pester Instagram for that blue tick or head to the black market to buy one for yourself. The image-sharing platform is now giving everyone a chance to prove their authenticity and apply for the verification process using a simple form. 1. Navigate to your profile, tap the 3 vertical lines at the top right to access ‘Settings’ and head over to the newly added ‘Request Verification’ option. 2. Now, you will need to enter your name and attach an identification document to send in your request for verification. Instagram states that it requires ‘government-issued photo ID that shows your name and date of birth‘ for the process. The details on your legal document need to match those in your account to successfully complete the same. Note: You can either attach your driver’s license, passport or national ID card (which in India’s case could be the Aadhaar card). Instagram accepts official business documents such as utility bills, tax filings or article of incorporation for a brand. 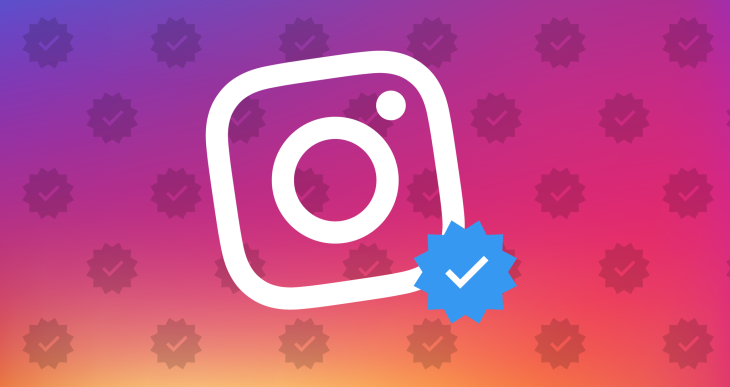 Instagram has finally made the process for verifying profiles and doling out the blue ticks transparent, extending users like us the hope to bag that blue tick and be on the path to fame. If you’ve applied for verification (or going to) then you’d receive a notification once your request is approved. If not, you will have to wait 30 days to re-apply for verification. The feature is already live on iOS but should make its way to Android in the coming days.